We have a very special announcement to make! It is our one-year blogaversary!!! It's hard to believe how quickly this past year has flown by. We have learned so much and we are so thankful to have so many amazing readers supporting us this past year. Thank you all. We do this blog purely to share our passion with others and it means the world to us to have you follow along in our creative journey. Okay, sorry to get all mushy on you guys, we are just so appreciative to have made it this far. 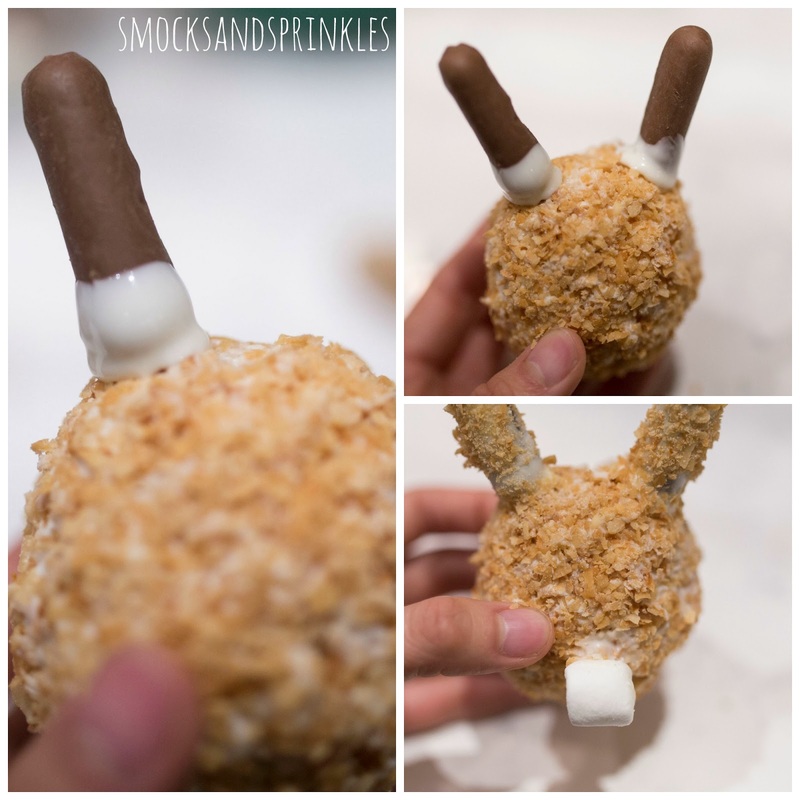 Now onto the topic of this blog post...bunny butts and egg filled nests! 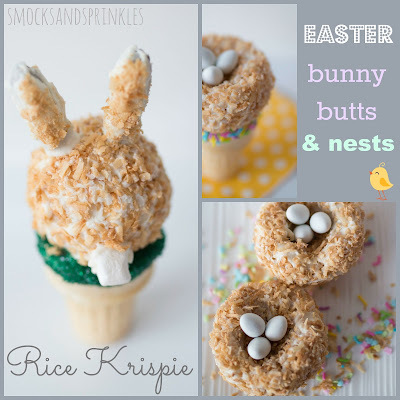 Not going to lie, the plan was just to make some cute *simple* rice krispie bunny butts. Before I knew it I was molding a nest with my bare hands, coating it in chocolate and toasted coconut and sticking it onto a decorated ice-cream cone filled with candy. Why does this ALWAYS happen to me?! 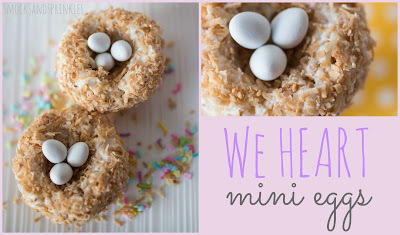 Another confession, I ate allllllll the mini eggs before they even made it into the nest or cone. I am so weak when it comes to mini eggs. What exactly makes them soooooo tasty?! That combination of crunchy candy and melty milk chocolate is deadly. The Cadbury mini egg is officially my achilles heel...or kryptonite. 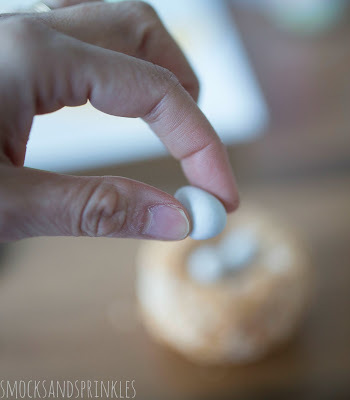 I tried to get away with using mini marshmallows in place of the mini eggs but the type-A perfectionist in me just wouldn't let me get away with that. I ended up packing up both kids in the double stroller and running to the corner store with them to purchase more mini eggs. These treats look intimidating but they are actually really easy and don't take too long to make. I managed with 2 kids literally hanging off the kitchen counter- gawking and whining the entire time. 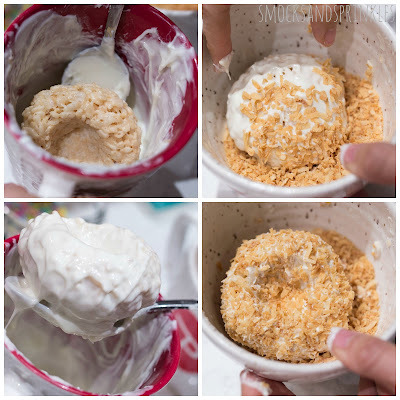 Toasted shredded coconut (from Bulk Barn) -if you are not a coconut fan, try peanut/other nut crumbs, coloured sugar, sprinkles, cocoa powder even! 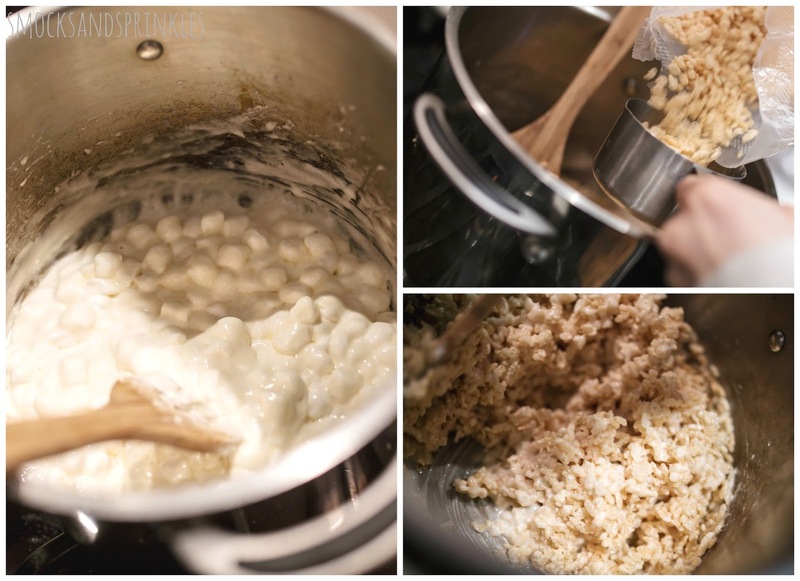 Follow directions to make the original Rice Krispie treats. Transfer to a glass bowl and let cool for at least 5 minutes or until you can handle the mixture without it sticking to your hands. 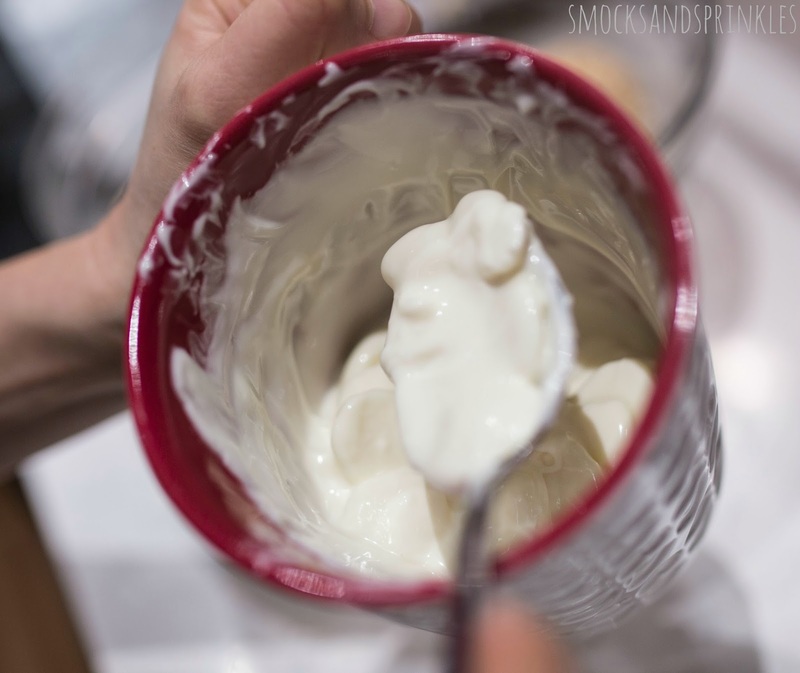 It also helps to grease your hands with butter or coconut oil to prevent it from sticking. 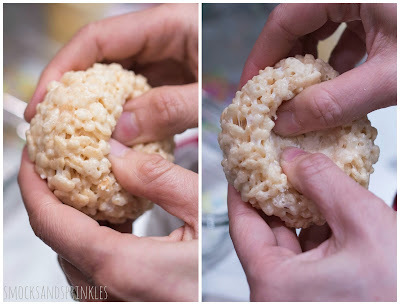 Using greased hands, mold rice krispie mixture into round balls (approximately 1.5 to 2 inches in diameter). These balls will be the base for both the bunny butts and nests. 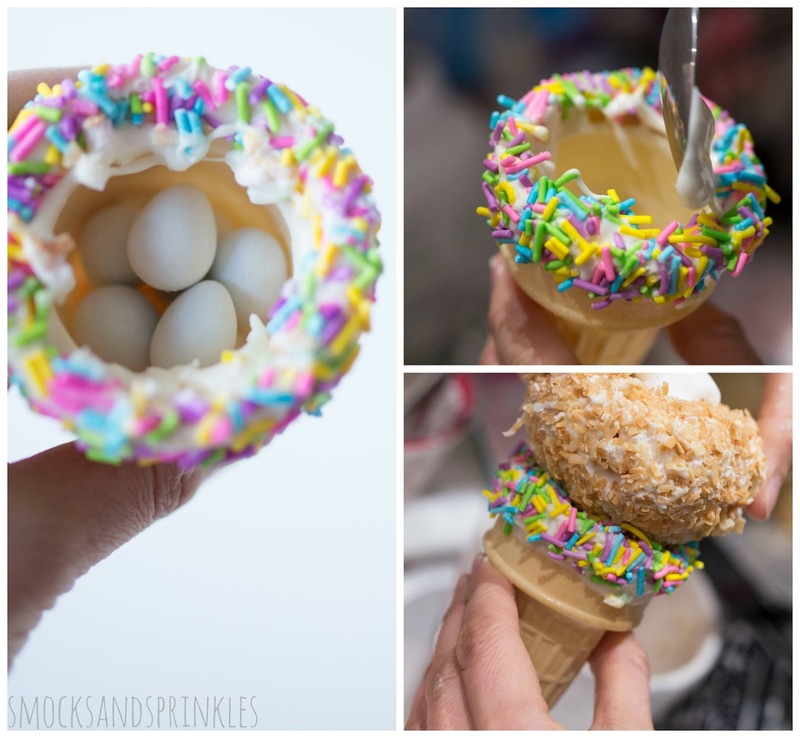 You can make these on a stick or on a cone or just on their own (ha! That rhymed!). 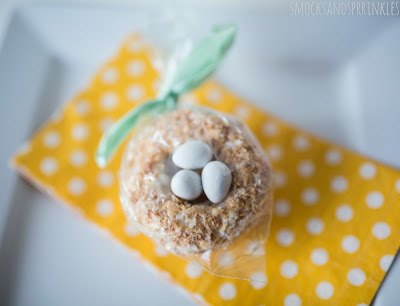 Melt white chocolate candy melts (I find candy melts are the easiest to use) according to instructions on package. Dip end of lollipop stick into melted white chocolate. 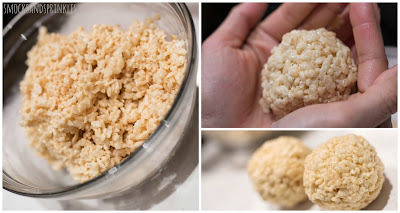 Push stick into rice krispie ball. 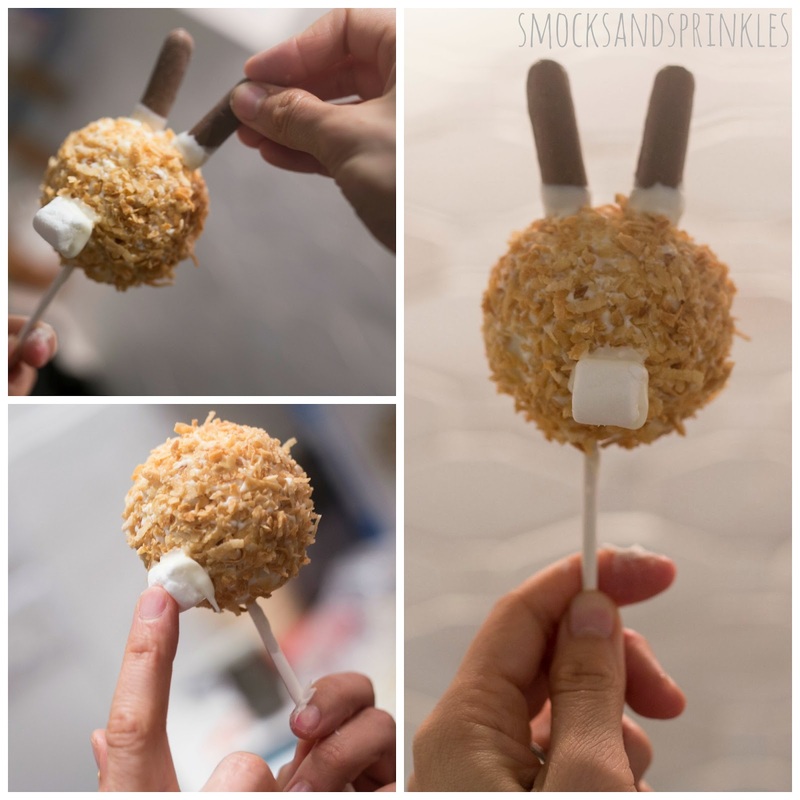 Chill for at least 10 min in the fridge to allow sticks to set in place. Dip chilled balls into melted white chocolate. Allow excess chocolate to drip off. 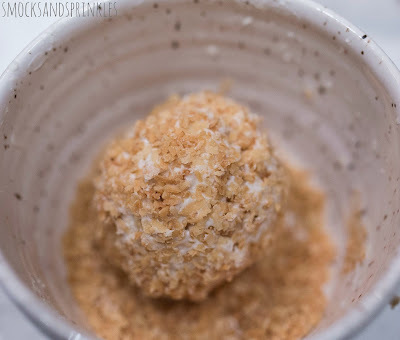 Coat chocolate covered balls in toasted coconut. 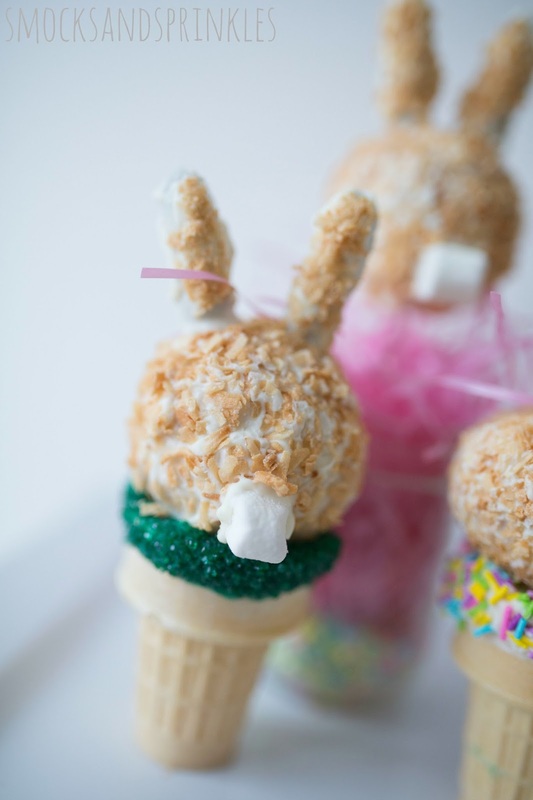 Attach "bunny ears" and "tail" using melted white chocolate as the "glue". Let it set. 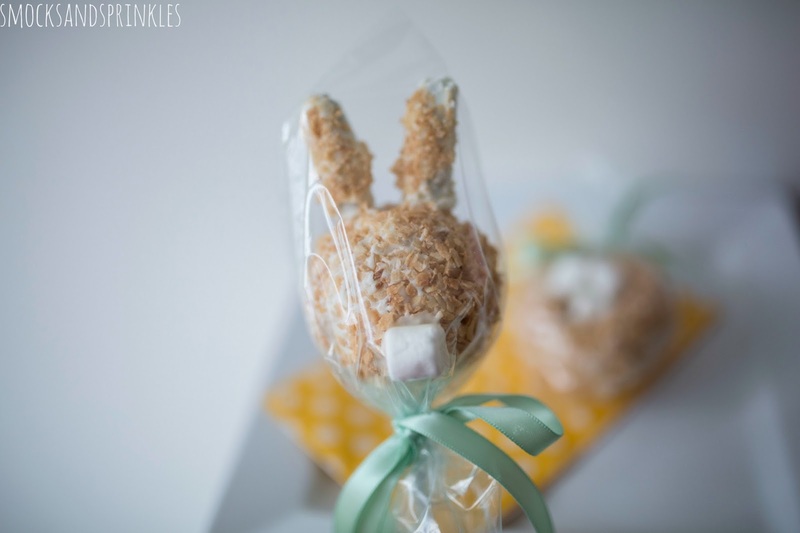 Coat bunny ears in melted white chocolate and then cover in toasted coconut. Note that I did this step last because it was a last minute decision to coat the bunny ears in chocolate and coconut. I originally planned to leave them plain but decided it was much cuter coated. You basically follow the same above instructions above to make the bunny butts, just omit the stick part. 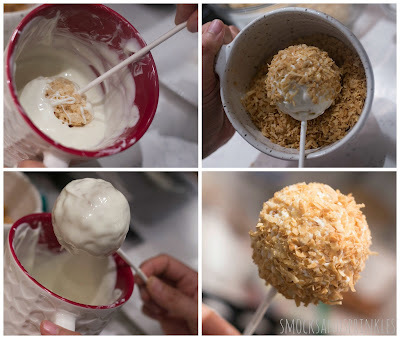 You can use a spoon to coat the balls in the melted chocolate and toasted coconut. 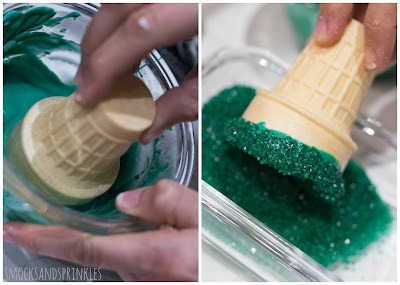 Dip the edge of the ice-cream cone in melted green candy melts (I chose green because it looks like the bunny is in "grass") and then into green sugar sprinkles. 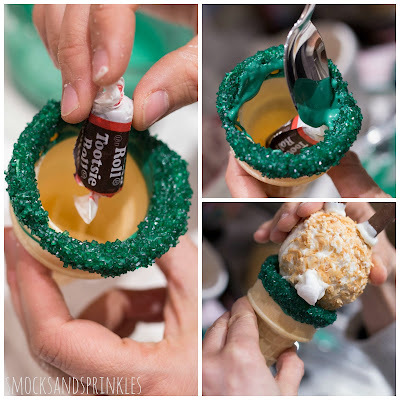 Fill cone with candy of your choice. Pick your child's favourite treat to surprise them! 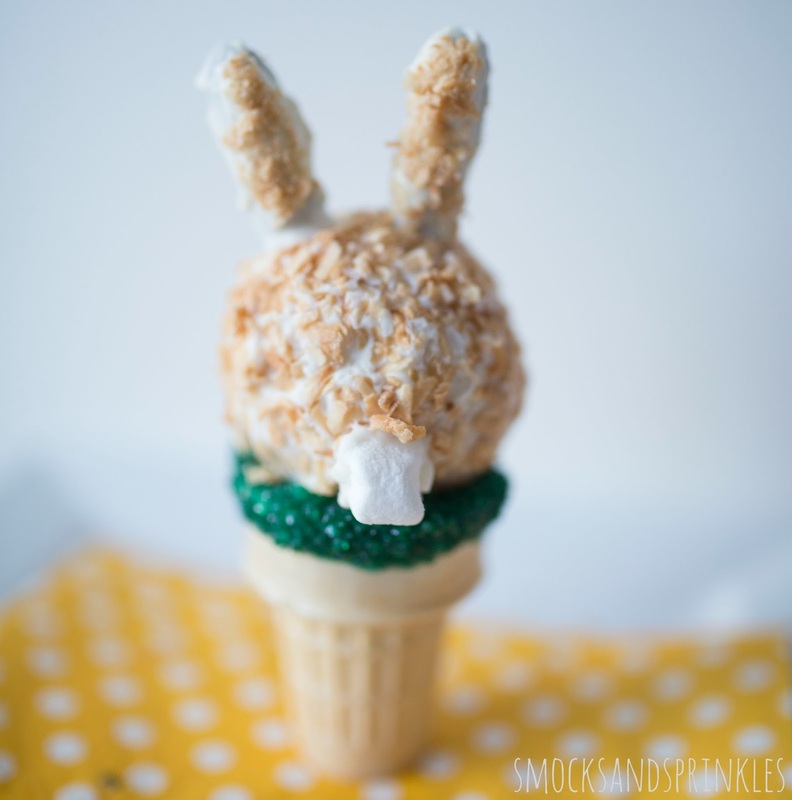 Add some melted green candy melt around the top edge of the cone and "glue" on the rice krispie bunny. Using your thumbs, shape rice krispie ball into a nest. It's best to work with the rice krispie balls while they are still slightly warm. 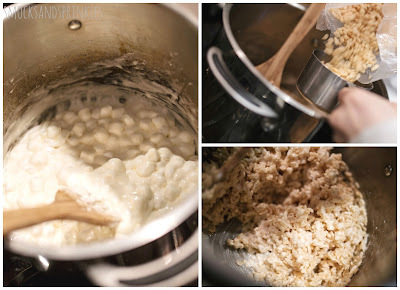 Coat nest in melted white chocolate melts. Drain off excess chocolate. Toss nest in toasted coconut. Use melted white chocolate to "glue" on mini eggs. Dip the edge of the ice-cream cone in candy melt in the colour of your choice (I just used white) and then coat with some fun coloured sprinkles. Fill cone with candy of your choice. Again, pick your child's favourite treat to surprise them! 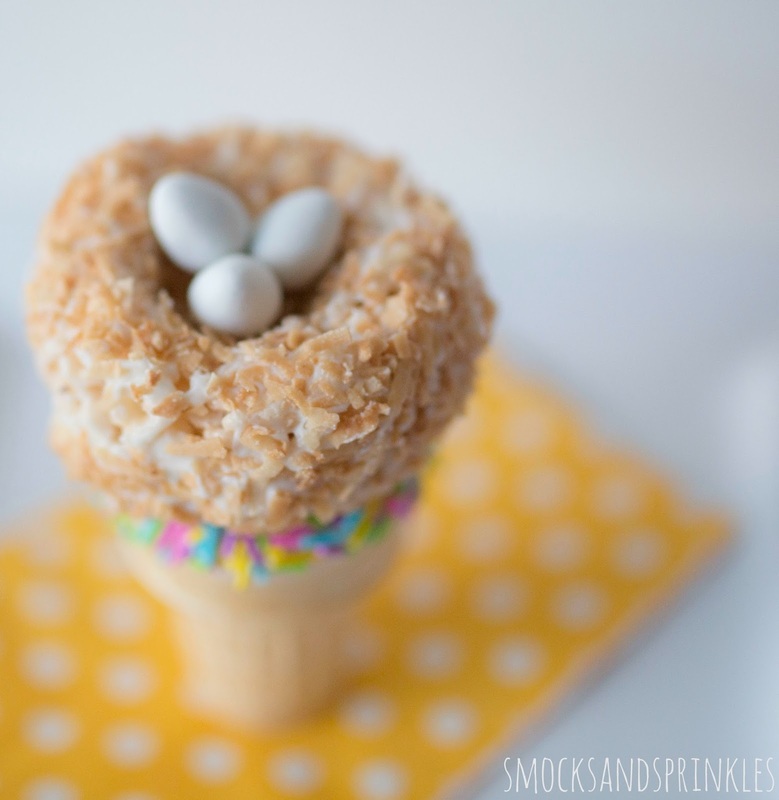 Add candy melt around the top edge of the cone and "glue" on the rice krispie nest. 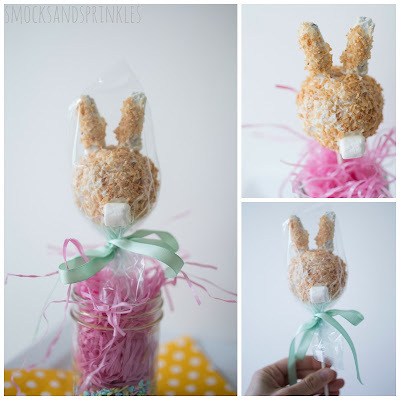 You can easily wrap up these adorable treats in plastic bags or cellophane. Be sure to add a cute ribbon. Perfect to give away to guests at your Easter brunch, lunch or dinner! 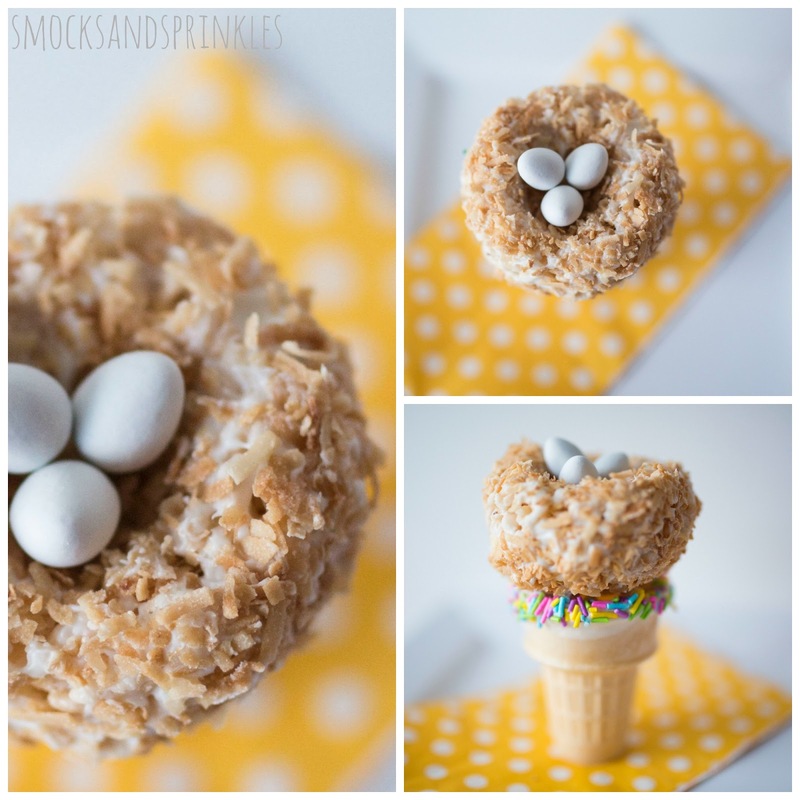 Enjoy making these tasty Easter treats and remember to share your creations with us on instagram (@smocksandsprinkles)!